After his successful first directorial venture in the adult comedy 'Hara Hara Maha Devaki', director Santhosh P.Jeyakumar is all set to entertain audiences again. 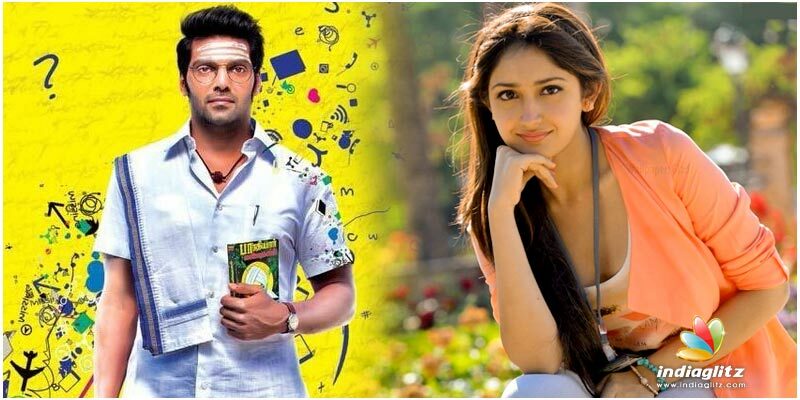 His next project is titled as 'Ghajinikanth' with Arya featured in the lead role. The film's leading lady has been announced as Sayyesha Saigal who has earlier impressed fans with her performance in Jayam Ravi's 'Vanamagan'. The music for the film has been composed by Balamurali Balu who also had composed the music for 'Hara Hara Maha Devaki'. The film will be bankrolled by K.E.Gnanavel Raja under the production of Studio Green. This will be the production company's 12th venture. Stay tuned for more updates and the latest release details of 'Ghajinikanth'.